Miss Piggy shares the secret to her longstanding relationship with Kermit, as well as tips for understanding men/husbands. How do I do it? 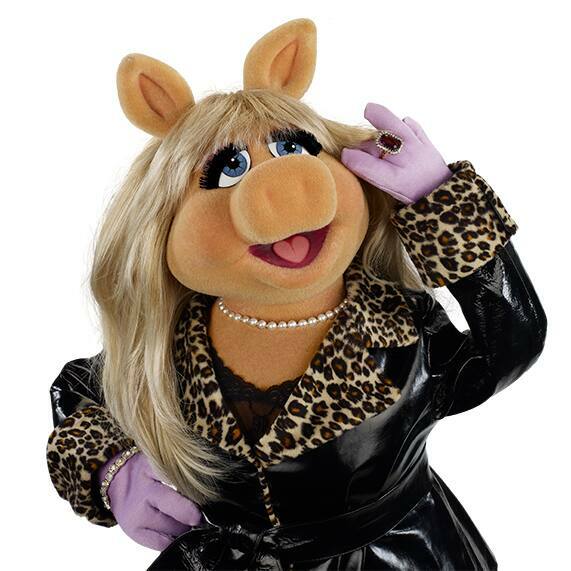 How does a wildly successful international star like moi maintain a hotter-than-hot relationship with one of the most handsome and desirable leading men in Hollywood, Kermit? It ain't easy, sister! But it's worth it! And I'm here to help you do the same. Oh sure, your groom, your husband-to-be, may not be a frog, but he is a man. And as you've probably heard: they're all alike. How true! How true! They say that "love means never having to say you're sorry". But what they don't tell you is: "Marriage means he always has to say he's sorry. " If you remember this "“ and remind him of it daily "“ you can't go wrong. Your man is who he is. DON'T try to change him. But DO go out and buy him a new wardrobe. He may not be perfect, but that doesn't mean he has to embarrass you in public by wearing plaid shorts and a ukulele-themed Hawaiian shirt. Understanding men means understanding their origins. A bestselling author said that "Men are from Mars and Women are from Venus". I beg to differ. I believe that "Men are from Mars, women are from Godiva". And if he doesn't get the chocolate reference, too bad. More for you. And finally, make sure you start your life together off on the right designer-shoe-clad foot! May I suggest contacting Disney's Fairy Tale Weddings & Honeymoons; they know almost as much about weddings as I do! Follow moi's advice and you'll soon discover that love is as easy as eating a pint of really rich chocolate ice cream at three in the morning. Hmm, why wait till three? Where's my spoon? PS: See my advice in action in Muppets Most Wanted, in theaters now.